SRI LANKA Under construction on the East Coast of Sri Lanka, this iconic tropical beach resort is intended to spearhead development as a luxury tourist location. 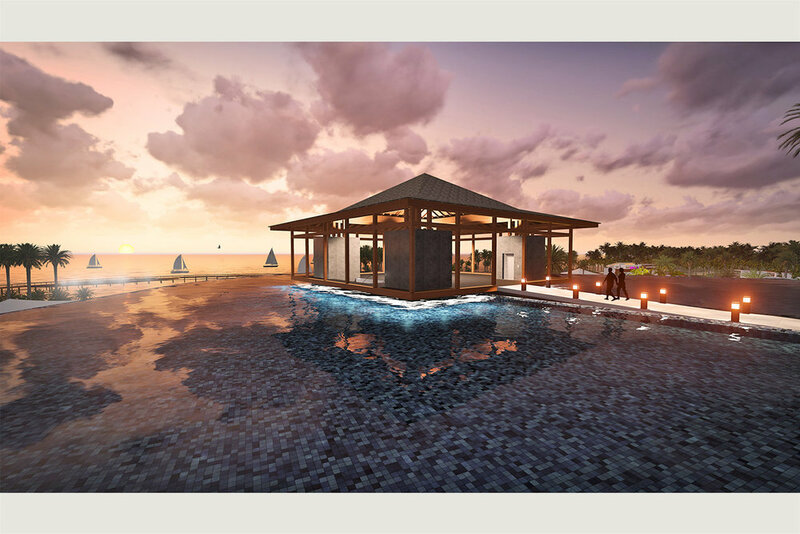 It will offer four kinds of villas: Tree top, single, double, and Royal; plus eight different food destinations, wine caves, a hidden oasis spa complex and an herbal infused relaxation garden. A nitrox diving facility, as well as water slides and various water features cater to children and adults alike. Designed to LEED Gold and Green Globe certification.